While Dumbo was loads of fun to watch, it struggled to introduce characters that were easily relatable. 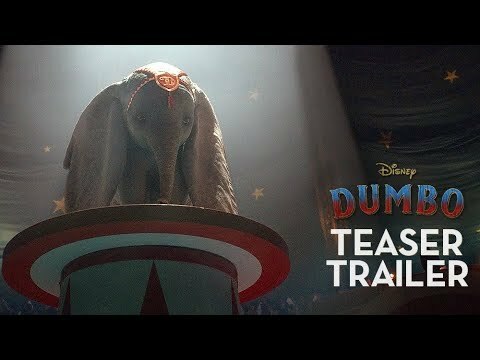 As with The Nutcracker and the Four Realms last November, Dumbo truly soared in the moments where viewers could sense its beautiful circus atmosphere, and it stands out as a gorgeous film. In terms of other Disney live-action reboots, I appreciate the way that Tim Burton created his typical pretty-but-creepy vibe, but Dumbo needed more musical touches to rank among the likenesses of Cinderella and Beauty and the Beast. At the end of the day, Dumbo was charming enough to keep me intrigued, but I wish that I could have felt more connection to the characters in order for the high-stakes moments to be more suspenseful. Our family really enjoyed this movie. It was so good! I rarely ever cry in movies and this one I had tears in my eyes throughout. The ending made me very happy and it got rid of my tears. Definitely worth going to see!